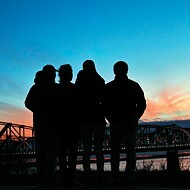 Looking back at the ever-evolving plan for Memphis’ riverfront and its newest addition. After years of a constantly inflating budget and mounds of public scrutiny, Beale Street Landing officially opened to the public last weekend. The Riverfront Development Corporation (RDC) managed the landing's design and construction process, and, despite criticism over the project, its president, Benny Lenderman, believes the landing has drastically improved neighboring Tom Lee Park. 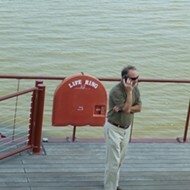 "Beale Street Landing fixes Tom Lee Park, which I have said was one of the worst waterfront parks in the nation. Now it's one of the best waterfront parks in the nation because all that it was missing — shade, restrooms, food amenities — are now housed within Beale Street Landing," Lenderman said. The $44 million boat dock and public space includes downtown's only playground, a Riverfront Bar & Grill restaurant, a gift shop, docking facilities for the American Queen cruise line and other excursion boats, an observation deck, public art, and an eco-friendly green roof that connects to Tom Lee Park. But long before the landing was ever conceived, many plans, some of them including commercial development on a massive scale, were proposed for the riverfront. 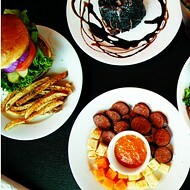 The Flyer has compiled a timeline with a few examples. 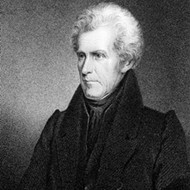 1819 — Andrew Jackson, John Overton, and James Winchester owned 5,000 acres on the bluff where the Wolf River flowed into the Mississippi. They commissioned surveyor William Lawrence to map out Memphis with lots, public squares, a public landing, and a public promenade along the river. 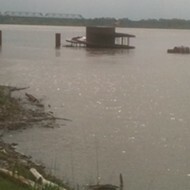 1978 — The Memphis Riverfront Study from the Memphis and Shelby County Office of Planning and Development recommended a "riverfront garden walkway" with a "performing arts barge, an open air marketplace, barges or piers, marine service, and a better mooring site for riverboats." 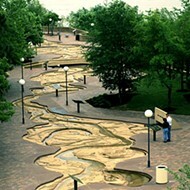 1987 — Center City Commission plan for downtown called for improving the public promenade as a "grand civic open space," restoring the cobblestone landing, adding amenities such as "floating restaurants and places for art," adding "something special at the foot of Beale," creating a Bluffwalk, and adding an aquarium to Mud Island River Park. 1996 — Mayor Willie W. Herenton came into office in 1991 with the idea that the riverfront should be an "economic engine" for Memphis. He had several ambitious plans for the riverfront over his years in office, but in 1996, he introduced some new items. 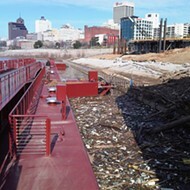 He wanted to fill in the southern tip of Mud Island to create 10 acres of private development as a "theme village," build two land bridges to convert part of the harbor into a 28-acre lake, and he wanted to cut a channel into what was left of the river's harbor. Those changes were estimated to cost between $25 and $30 million. 1999 — The Waterfront Center, a nonprofit that assists communities in making the best long-term plans for their waterfronts, was hired to work with the public in developing ideas for the riverfront. 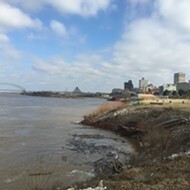 Those ideas included free, year-round access to Mud Island River Park, slower traffic on Riverside Drive, protection of the cobblestones, better docking for river tour boats, and scratching Herenton's idea for the lake. 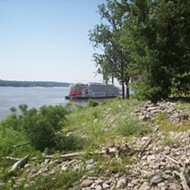 2000 — The RDC was founded as a public-private partnership to oversee, maintain, and "develop where appropriate" the public property along the riverfront. 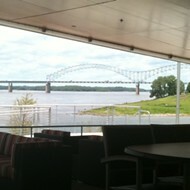 2002 — Memphis City Council approved the Memphis Riverfront Master Plan. It included a 50- to 70-acre "land bridge" dam for commercial development. Early renderings showed large skyscraper-like buildings along the water's edge. The channel to the Mississippi River was gone, and the harbor was to become Wolf Lake. The plan also included a mention of a boat docking facility in the area where Beale Street Landing is today. Lenderman said the board later amended that master plan and removed the land bridge with commercial development. 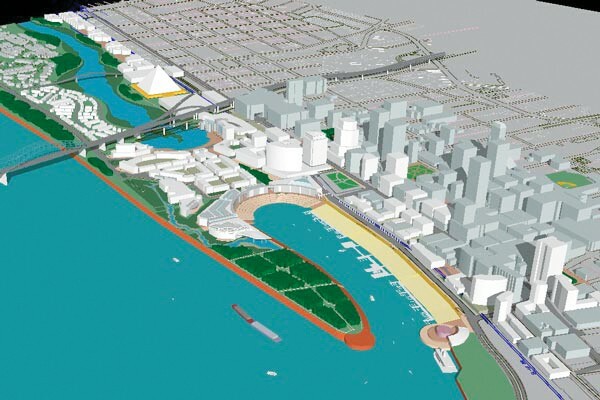 This 2002 master plan features new skyscrapers and a land bridge filling in the riverfront. "There were mistakes made [with that plan]. It was a 50-year plan, but the problem is, you can't do a public 50-year plan. Board members can't comprehend beyond five years, and the public can't comprehend more than a year and a half." 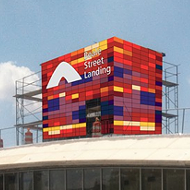 2003 — At the end of 2002, the RDC announced an international design competition for Beale Street Landing. More than 170 submissions came in from 20 foreign countries and 28 states within the U.S. By October, the winning design from the RTN firm of Buenos Aires, Argentina was chosen. "A lot of local architects and even we [at the RDC] assumed that what you needed down there was Memphis' Eiffel Tower or something to show where the river was, and then you'd build around that," Lenderman said. "But what our design panel of judges gravitated toward is having the river be the attraction, and they liked the design that RTN came up with." 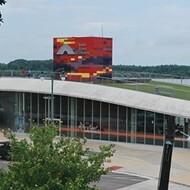 2005 — In June, the Memphis City Council approved the Beale Street Landing project as part of the FY 2006 city capital improvement project budget. In August, Hurricane Katrina hit the Gulf Coast, and the RDC said it tripled the cost of all projects along the Mississippi River and the price of steel, which was to be a key component of the landing's construction. 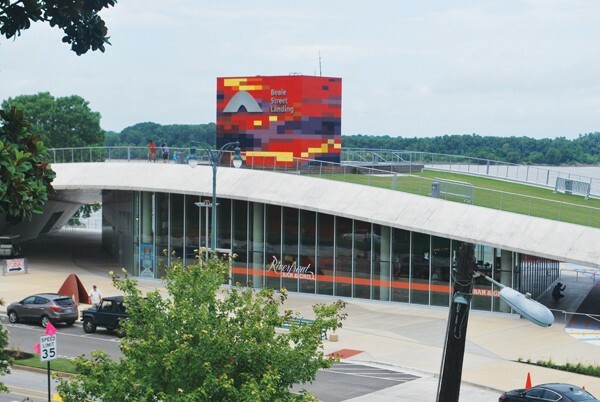 Critics of Beale Street Landing, especially Friends for Our Riverfront, had much to say about the project's ever-increasing cost to taxpayers. "The first number in a city budget book was $28 million. The final number, with design and permitting and construction, was $44 million," Lenderman. "But part of that went up $1 million in the past two years because extra money was raised for the play area from private dollars. Of that number, $29 million was city taxpayer money, and $2 million was private donations. The rest was state and federal." In December of 2005, the first phase of construction on the landing began with dredging out the mouth of the Wolf River Harbor, widening the shipping channel by 50 feet. 2008 — A groundbreaking ceremony was held for Beale Street Landing. 2012 — The American Queen cruise line, the first passenger boat to dock at Beale Street Landing, held an event to celebrate its headquarters moving to Memphis. 2014 — Beale Street Landing held its grand opening event on June 28th. Future — Preservation of the historic cobblestone landing has been approved, and it has been ready for construction for about 18 months. But that part of the project has been held up by a Tennessee Department of Transportation (TDOT) requirement that "railroad crossings within 100 feet of any project they fund be improved at the same time," according to Lenderman. He said the RDC plans to go out to bid on the cobblestone project as soon as TDOT is ready to go.